Iver P. Cooper | Browdy and Neimark, P.L.L.C. Mr. Cooper is an internationally recognized authority on biotechnology patent law, and his practice has concentrated in biotechnology areas including microbiology, recombinant DNA technology, monoclonal antibodies, pharmaceuticals, and medical devices. Mr. Cooper is the author of the seminal treatise in the field, Biotechnology and the Law first published in 1982, which he frequently updates to keep it abreast of that fast-moving area of the law. He has served as patent counsel to the Association of Biotechnology Companies (a forerunner of BIO). 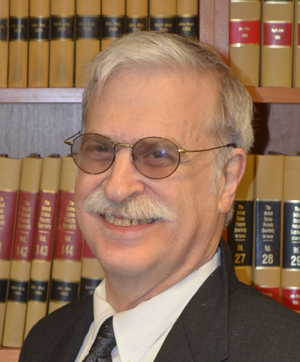 He has authored numerous articles on intellectual property law, drug and medical device regulatory law. Mr. Cooper has been honored with a Fellowship from the Food and Drug Law Institute, and writing awards from the American Patent Law Association (forerunner of AIPLA), the U. S. Trademark Association and the American Society of Composers, Authors and Publishers (ASCAP). He was a charter member of the Editorial Board of Biotechnol Law Reports and has served as a Contributing Editor to Medical Devices and Diagnostic Industry magazine. In addition, he has served on several government advisory panels.